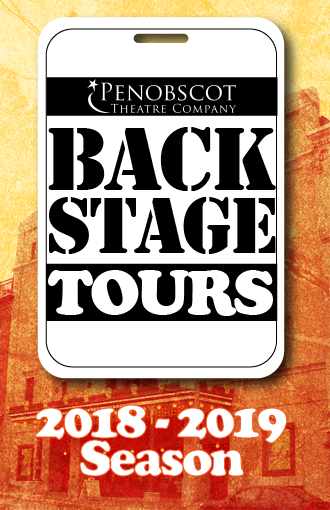 Join us for an exclusive behind the scenes look at the current show as well as the history of Penobscot Theatre Company`s home: the historic Bangor Opera House. This 45 minute tour features a look at everything from our rehearsal room to the dressing rooms and the fascinating history of bootlegger tunnels, presidential visits, and stars of vaudeville! History and Theatre collide in this special peak at the place we are proud to call home. Tours begin at 12:30 in the Theatre Lobby on Saturday Matinee Days. For more information contact the Box Office.